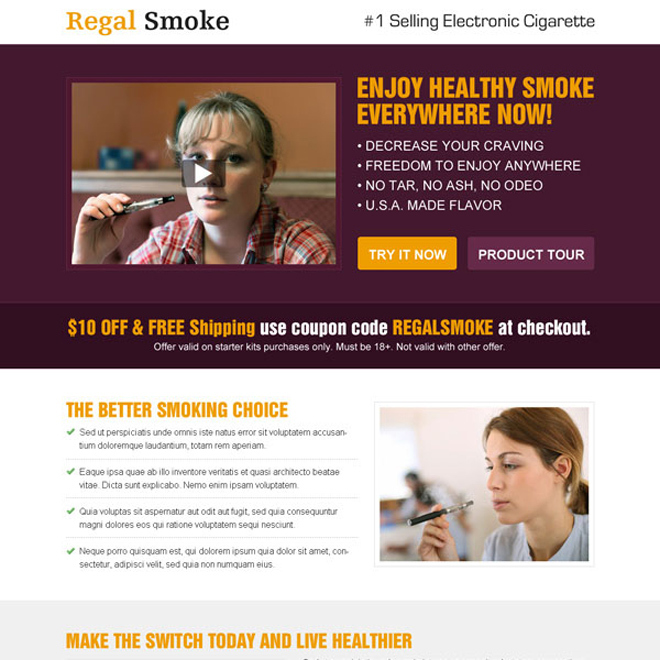 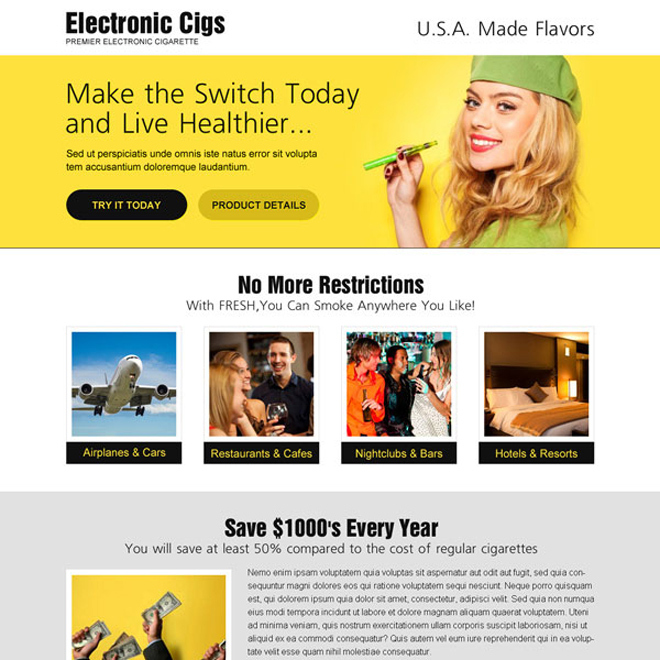 Boost sales of your electronic cigarette by promote your business service through our responsive html5 css3 coded landing page design on affordable price. 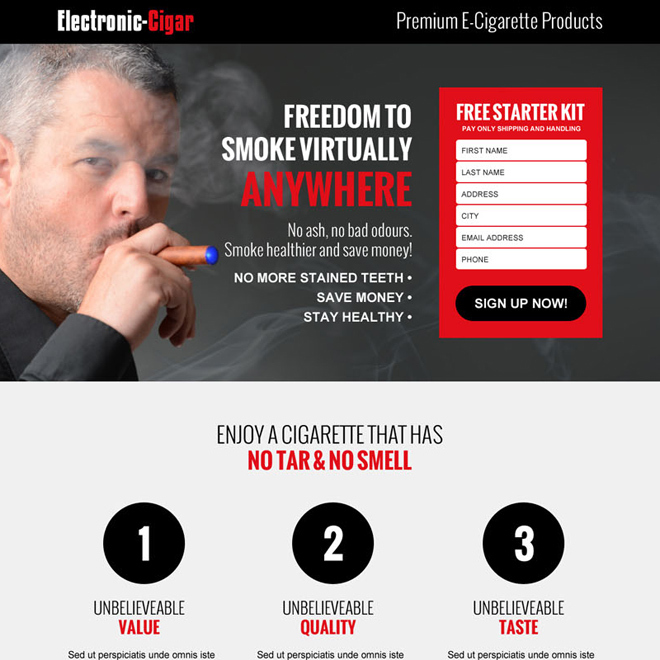 Maximize sales and leads for your electronic cigarette company by our conversion centered optimized responsive e-cigarette landing page design. 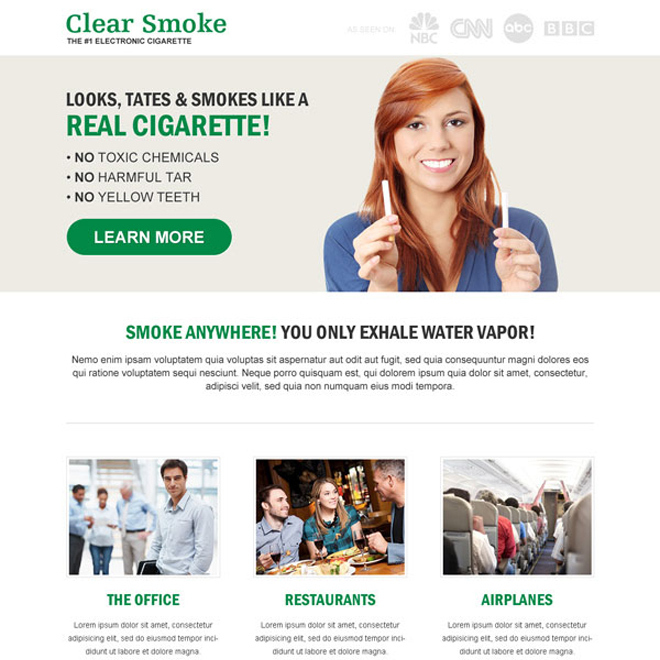 Download now and use it in your marketing campaign to increase sale from your online store.